PARIS—”Do I believe in fate? I do. I think you can take advantage of fate with hard work; I don’t think that fate without preparation works,” says Lawrence Brownlee, one of the most in-demand male voices in opera. A practical statement, to be sure, but Brownlee soon revealed he was skeptical about the start of his own journey. 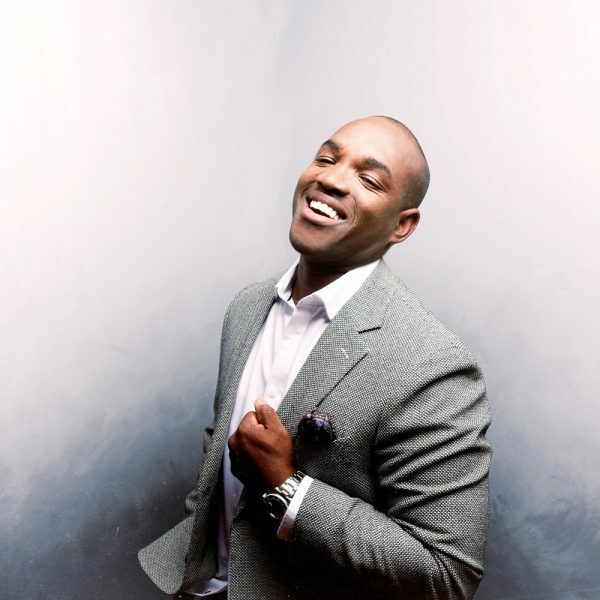 Lawrence Brownlee is one of the greatest bel canto singers of our time. He was named “Male Singer of the Year” in 2017 by International Opera Awards and Bachtrack. He’s been invited onto the most prestigious stages in the world. “The word ‘honey’ comes to mind,” mezzo-soprano Joyce DiDonato once said of this voice. But he didn’t always want to be a great singer. Brownlee had this vision of himself in suits, going into the courtroom every day, and eventually becoming maybe a judge. But all along the way, people at church and people at school would notice his voice. “[They] would tell me I had a special gift. They would tell me, ‘You have to pursue this gift, because you have something the world needs to hear,'” Brownlee remembered. Gradually, he gained confidence in this idea, and he thought, yes, he could be a singer. Around age 18 or 19, Brownlee listened to albums of “The Three Tenors”—Plácido Domingo, José Carreras, and Luciano Pavarotti—and became enamored with the heart-rending pieces about love and death. Brownlee wanted to sing about pain and death in stories filled with passion and poison. And then a voice teacher gave him Rossini’s “The Barber of Seville,” a comedy. “I thought, ‘No!! '” Brownlee told WQXR. “This is your voice; this is what you were born to sing,” Brownlee’s teacher told him. He wasn’t immediately happy about it, but this became his first foray into bel canto, into learning about what it was, and the music. Gradually, he realized this was his calling. “I truly believe that my voice is a gift from God,” Brownlee said. During each performance, although he isn’t singing about God, Brownlee takes it as a chance to give his thanks for the gift, and vows to make the best use of the gift as he can. He believes this is what inspires him to improve boundlessly. Fate has given him what he calls a good “natural voice,” but to turn it into something that can bring others joy is a work of craft, Brownlee explained. A comment that’s stuck with Brownlee is the remark that when he sings it sounds like the sun is shining through. And as an artist, Brownlee always has the audience in mind, so there is a balance in knowing himself and his own standards, and knowing what he can give to the audience. “We as singers are not always in a perfect voice,” Brownlee explained. There are days when you’re fatigued or struggling with allergies or the weather or any other physical ailment that means your natural voice is not in perfect shape. At that time, you have to find another reason to be confident that you can give a great performance on stage. It’s in the words of the text; it’s in the meaning of the story, the acting, the language, the timing, and how one carries oneself. You consider it all, even when your voice is in good shape, but a certain negotiation has to happen when it’s not, Brownlee said. “And more than anything, have fun and touch people, make someone happy,” he said. Opera and classical music have existed for centuries because they touch people in a universal and timeless way, and Brownlee says he is just adding his voice to a long line of tradition. And as a steward of this beautiful gift, he is adding his voice to opera.